A Living Trust is also known as an “Intervivos Trust” or “Revocable Trust.” A Living Trust is an estate plan that manages your assets during your lifetime and efficiently passes your estate to your chosen beneficiaries after your death. Why would you need a Living Trust? To control and protect your estate, now and after your death. By law, no one can sign your name. Therefore if you acquire a disability your name can only be signed with the use of a previously executed Financial Power of Attorney. After your death, your name can only be signed by an Executor who is authorized by Probate Court. Your Financial Power of Attorney is revoked by operation of law at your death. 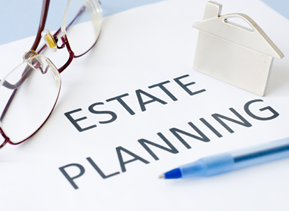 Consequently, if you have assets in your name after your death, such as title to real estate or financial institution accounts, a Probate estate must be opened so that a judge can name an executor to administer your estate. A Last Will and Testament does not avoid Probate. A Will is simply your wishes for an executor and for who receives your property after your death. Probate is a division of the court system that handles the estates of every person who is either unable to handle their affairs because of a physical or mental disability, or who has died. It is designed to protect your assets during your lifetime and to supervise the proper administration and distribution of your estate at your death. What is wrong with Probate? It is costly, it takes a long time, and because of the number of cases in the system, it is inefficient and burdens families. The Probate system simply was not designed to handle the estates of every person. If you have not made other provisions and you acquire a disability, your assets will be subject to the control of the Probate court.Your family must care for you under the direction of the court system. If you die with assets in your name, and the total collective value of your assets exceed $100,000, your entire estate is subject to the Probate process. With a properly drafted, executed and funded Living Trust. 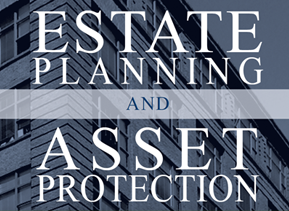 All assets in your name are retitled to the name of your Living Trust and are not subject to probate and are administered privately and efficiently by your Successor Trustee, often one of your family members or trusted friend, who can also be a beneficiary of the Living Trust. The process could take only a matter of weeks, or as long as it takes to transfer your assets to your beneficiaries. What legal documents are in a Living Trust? A complete Living Trust estate plan should include a Trust, a Last Will and Testament ( often referred to as a Pour Over Will, that acts as a safety net for any assets not titled in your name at your death), a Financial Power of Attorney, and a Health Care Power of Attorney. No. Today, with the advantage of technology and a competent attorney, a Living Trust estate plan, complete with power of attorney documents and a Will, can be secured for a fee comparable to what you would pay for a basic estate plan. Importantly, you would avoid the thousands of dollars of Probate cost and the burden on your family. What are the other advantages of a Living Trust? Protects against loss of benefits or government reimbursement in the event a beneficiary acquires a disability before your death. How can you obtain a Living Trust? If you live in Illinois, you should consult with an experienced Chicago Living Trust lawyer. Tom Tuohy has prepared nearly 3,000 Living Trust estate plans in his career. All consultations are free. You can download planning forms below and a detailed brochure.Your signing will be at our convenient West Loop office, close to public transportation and free parking. Nearly every client who has completed their Living Trust estate plan expresses a sense of relief that they finally took care of this important family protection. It is common to think about this for years. Now is the time to consider getting it done. If you are ready to retain our law firm for a Living Trust estate plan, submit a fully refundable general retainer in the amount of $275. Understanding Trustees Role, Trustees Instructions. Please click on these links for detailed information regarding Power of Attorney, Last Will & Testament and Probate. 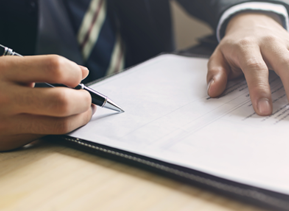 Contacting us does not create an attorney-client relationship until such time as we acknowledge receipt and verify our client attorney relationship in writing.